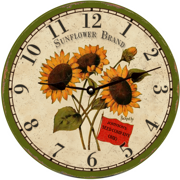 Our Sunflower Wall Clock makes a great gift for your Sunflower-loving friends and family members. The sight of Sunflowers are sure to brighten anyone's day. 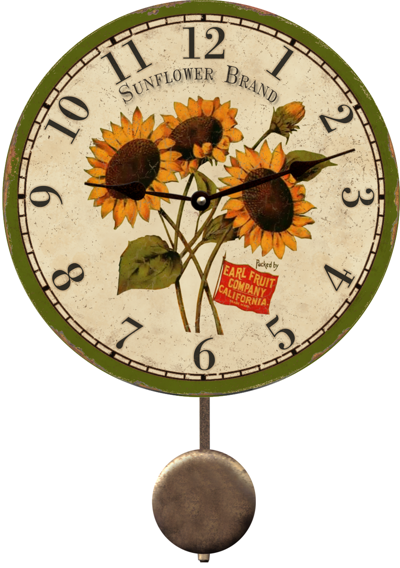 This cheerful Sunflower Wall Clock will add class and style to any kitchen, living room, or any other room in the home. 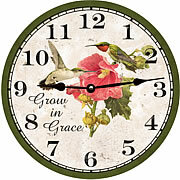 CLICK BELOW TO VIEW OUR COMPLETE FLOWER WALL CLOCK PAGE. "Sunflower Wall Clock" Shown with pendulum option. Current page being viewed is Sunflower Wall Clock.